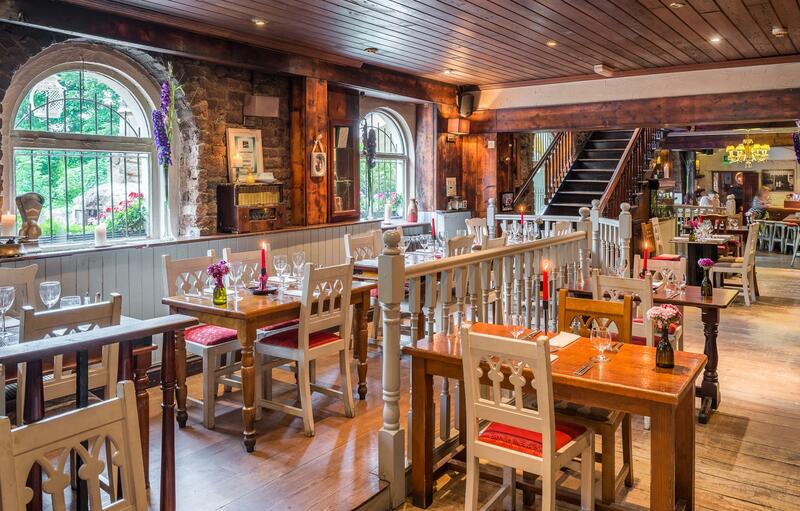 If you plan to visit Dublin with your corporate group or international conference, The Anglers Rest offers a unique traditonal Irish setting only a stones throw from Dublin CIty centre. We offer top class Irish cuisine, with indoor and outdoor spaces and private dining areas, catering for groups of 20 up to 200 people. We have recently hosted some top international corporate groups such as Spar International, Hines Group and Phonak who celebrated opening and closing conference parties with our team providing a range of canapes, dinners and traditional Irish music and dance. Located within easy reach of the city centre and hotels including Carton House, Castlenock Hotel and Country Club, Dunboyne Castle, The K Club, and Blanchardstown Carlton and Crown Plaza Hotels, we can offer your group a unique traditonal Irish setting for a night away from your hotel. We celebrated our final night of our international conference in July 2015 in The Anglers Rest. We were lucky with the weather and tasted Guinness and Oysters outside on arrival with traditional Irish musicians playing on the terrace, then moved inside where we were served a fantatic Irish buffet, followed by a traditional Irish show in the Phoenix Room upsatairs with 180 of our delegates. We were staying in the nearby Carton House and the short bus transfer made it simple for us to arrive and leave in stages as the night drew to a close. I couldn’t praise the staff and chefs in The Anglers Rest enough and our Chief Executive who flew in from the US that day thoroughly enjoyed the event.